If your child qualifies for free or reduced school lunches (NSLP), you could qualify for discounted home internet. students get quality home internet. The internet is essential for successful learning and Mediacom wants to help families with K-12 students get connected. 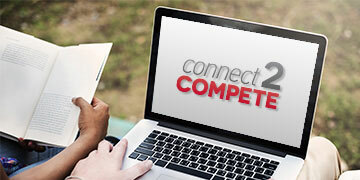 Mediacom Connect2Compete is offered as one of the ways our company works to close the "digital divide." We participate with "EveryoneOn," a national non-profit program. Our goal is to make home internet access simple and affordable so that students have a reliable connection to participate in a digital curriculum and extend the learning experience from school to home. Mediacom makes this service available to eligible families in all areas where Mediacom's broadband network is present. *Offer is available only to residential Mediacom Internet customers who have not subscribed to Mediacom Internet services within the prior 90 days, do not have an outstanding Mediacom balance or unreturned equipment and meet the eligibility criteria. Monthly price of $9.95/month (plus tax) is available so long as the eligibility criteria are met; if at any time customer no longer meets the eligibility criteria, the then-standard rates for Internet service and equipment shall apply. The service includes Internet service with download speeds up to 10 Mbps on a single outlet and one WiFi modem. Modem remains the property of Mediacom and must be returned upon termination of service to avoid charges. Mediacom Connect2Compete is a residential Internet service intended for educational use. Participants must conform to requirements of the Mediacom Online ® Internet Access Service Customer and User Agreement and Mediacom's Acceptable Use Policy. It is not a school program, and is not endorsed or required by your school. Your school is not responsible for Connect2Compete accounts. No school funds were used for this notice or website. Call 1-855-904-2225 for more details or to visit with a Mediacom Connect2Compete representative. Offer, prices and eligibility criteria may change from time to time. ** Families with an outstanding bill or unreturned equipment can discuss payment options with Mediacom customer support representatives to determine how a resolution can be met. Call 1-855-904-2225 for more details.